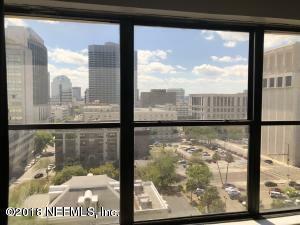 Beautiful studio condo perfectly located in downtown Jax! Stunning views from the 11th floor, just waiting for you to move in. Updated kitchen and bathroom with lots of storage/closet space. Move in ready and FURNISHED!Furniture included Murphy bed, bar stools, sofa, end table and TV w/stand!